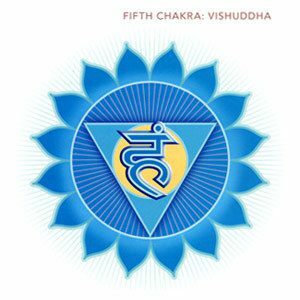 What is the Throat Chakra? Cat got your tongue? Do you get regular sore throats for no apparent reasons? This could indicate an imbalance with your Throat chakra. Location: Located in the throat region. Attributes: This Chakra relates to communication and self-expression. Alignment: When in balance you are able to effectively communicate with others without criticism or judgment including with yourself. Associated Foods: Blueberries, eggplants, figs, water, herbal teas. The throat chakra is the first of the three uppers spiritual chakras above the heart chakra. Here we have a chakra that enables us to communicate effectively at all levels. It will also help to bring forth the true self. That is in being able to express oneself truthfully and honestly. That is in being able to express oneself truthfully and honestly. This is not only relates the spiritual aspects of life but also affects the physical. One that enables us to express and speak in a way that will show not only of what we truly feel but one we believe to be true to ourselves. 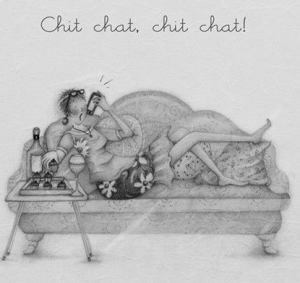 Chit Chat is not talking. Communication is not just having a chit-chat with others, it is also about listening, showing empathy and truly understanding what is being said, but also felt without the need to judge or to criticize others and importantly to yourself. How can you begin to understand and communicate lovingly towards others, when that same understanding and communication cannot be applied to yourself? When the chakra is opened and balanced then you will find a greater sense of communication where you have no issues with your self–expression. By creating that balance you will find that there is no pressure on stated what you truly believe and you will have that trust and conviction that you are true to your word and that your word is at one with the spiritual energy that you are. You will find that one who has found that balance within their throat chakra will show their calmness, compassion, and understanding to another’s point of view and needs. This individual is willing to not only communicate with others but willing to listen with empathy to those around them. Non-verbal communication is just as important as verbal communication when having a balanced chakra. Being abusive and critical to others are also signs of an over-balanced chakra. Know any bosses or managers like this? OR the saying” my way or the highway” these are strongly associated with an over-balanced throat chakra. Like the saying at the beginning “Cat got your tongue”? This is one of the under-balanced chakra types. Many will also find that there are difficulties in expressing oneself out loud when needed. Agreeing with others on a consistent basis, even though you may disagree personally on the matter. This shows that there is a need for balancing the throat chakras. Many similar ailments can also show up for those who have both over and under active throat chakras. Such issues can be sore throats and coughing. You may find that all of a sudden you start to cough when you need or want to express yourself but that dreaded cough just appears out of nowhere. Not listening with empathy towards others or being overbearing, these again can create issues with the ear and nose in the form of earaches and sinus infections. 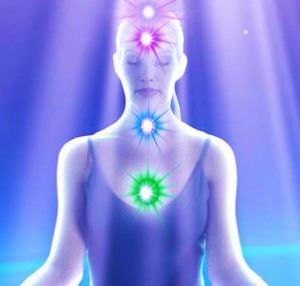 One of the great ways to work on balancing or re-balancing your throat chakra is via color meditation. Here you will focus on the color blue energizing your throat chakra. In doing so visualizing, feeling and sensing any blockages you may have are being taken out. Imagine the blockage being melted away by your blue energy as it melts away this negative energy. See it being vaporized like the morning mist being vaporized as the Sun rises. Let it just disappear as you fill your throat, neck and shoulder areas with the beautiful blue light. There are many other forms of meditations that can be used such as the white light meditation (Keep an eye out for this one coming soon on the website). Using crystals can certainly help to re-align and balance your throat chakra. You will find that many therapists that deal with crystals will use certain types depending on the chakra concerned. With the Throat Chakra for following, crystals are very beneficial for your healing and balancing of your chakra. Lapis Lazuli, Blue Topaz, Blue Sodalite, Aquamarine although there are many other crystals particular if they are blue in nature. I have found that these four mentioned are the best in helping to balance and heal the throat chakra. They can be placed on the throat chakra either by laying down and meditating upon. Another method is that you can carry the stones in your pocket or purse. A very beneficial way is to wear one of these crystals perhaps around your neck is best. Tell yourself in the morning that energies coming from these crystals are working its magic as you go about your day. Wearing clothes or items of clothing with the color Blue will enhance any other methods such as the crystal being worn around your neck. This can be done on all other chakras as well. As you choose your clothing for the day, say or visualize that as your day progresses, the energy that the color (in this case Blue) will energize and revitalize your throat chakra throughout the day. Perhaps during breaks, give an extra boost to your visualization of the blue color filling you up. This can help to boost your confidence to be able to best communicate and express what you wish to say to others that are around you. This can work well in a working environment and you can also project that same energy to shield you from any negative issues others may wish to send out. (Refer to overbalance chakra above). What great way to balance your chakra than to have wonderful and nutritious foods. In particular, those with the color blue. Blueberries, eggplants, figs are great foods to have for your throat chakra but another option is to take liquids. Although that may not be blue taking these liquids are very beneficial for your throat chakra particularly when wanting to communicate verbally. The reasons why liquids (not the alcohol kind either) are beneficial, is that they help to lubricate and moisten both the throat and mouth areas. Even had that dry throat feeling when trying to speak? It doesn’t feel good, does it? Having fluids such as water, herbal teas, soups can help not only to lubricate and moisten the throat chakra but at the same time overall can help to nourish the body in many other ways beneficial to your health and well-being. I will even add cucumbers here. Although it is green and very beneficial for the heart chakra, due to the high water content, it is also super beneficial for the throat chakra as well. I might add that both Green and Blue are both great colors used for healing. These work by transferring healing energy to other parts of the body as well. The use of essential oils can be a very powerful way when opening and balancing the throat chakra. Methods can be in applying certain oils in various ways. If used on the body it is best to dilute with a carrier oils as for some people essential oils can cause a rash if applied direct undiluted due to its powerful healing properties. The aroma of the essential oils helps to work directly by inhaling the essence of the oil. Apply a few drops as you soak in the bathtub when you do this not only enjoy the warmth of the bathwater but the aroma can enhance the atmosphere around you by energizing the throat chakra as you lay in the bath. Two other ways using the aroma is by placing a few drops in an oil burner and allow the fragrance to permeate the air around you and energizing and strengthen the energy within and around you. For a direct approach, you can also add a few drops in a steam inhaler, as the steam mixes with the essential oils this can work directly to your throat areas and you breathe in the vapors. Care needs to be taken with the steam and if using a steam inhaler make sure that you keep your eyes closed. This is great for sinus and sore throats. The Eucalyptus will help to clear the energy around you while destroying the airborne bacteria that may be floating about. This oil will also help to open your lungs (Solar plexus Chakra) in doing so, it will help to free you from the restrictions on your breathing. By freeing up the restrictive breathing allows for better awareness of communication as you are now more opened and are then able to express more of your inner self and true thoughts. By breathing better you are also able to communicate better. Look at a Singer, even more, so singer/songwriters, who by opening up their passageways for better breathing also enables them to open up their expressive thoughts, ideas, and creativity. This helps to promote awareness, helps in clearing the energy within and around you that allows self-expression to take place. 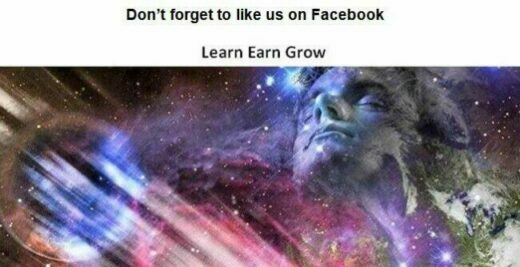 It is also great to use in promoting love and peace within and around you. This oil helps to heal gum disease that can be due to an unbalance throat chakra. Sage, in particular, White Sage helps to release not only negative energy around you but also helps to negate the negative energy being carried by you as well. I might also add burning White Sage Sticks is great for taking away negative energy from around you, within you and also from your home. Modalities such as Reiki, Other forms of Hands on Healing, Yoga can be very beneficial in working not only on improving your health, but also strengthen your body and the body’s immune system in many ways. As the website progresses, more will be covered by other methods of healing as mentioned above. I would love to hear your thoughts on what methods you may have used in balancing your Throat Chakra and which methods you feel works best for you. The sharing you give here can help many others that could help to better improve their lives. So your input is highly valued. Next Part 6: What is the Third Eye Chakra?